Amy Coney Barrett, one of President Trump’s short-list selections for the Supreme Court, is by all accounts a likeable person and a popular professor at the University of Notre Dame. Her membership in the People of Praise, a cult-like Christian group based in South Bend, Indiana (home of Notre Dame), should however preclude her from this post. Currently serving as a judge in the Chicago Circuit Court of Appeals, Barrett’s religious beliefs would pose a major roadblock to impartiality. The secretive religious group requires members to swear a lifelong covenant of loyalty to one another, and also holds firm to the belief that husbands should have authority over their wives. According to judicial advocacy group The Alliance for Justice, Barrett has argued that “federal judges’ personal religious beliefs override their duty to apply the law.” Her position is that her religion could therefore take precedence over the Constitution of the United States – a dangerous position for a Supreme Court Judge, and one that should never be allowed or condoned. In an article she wrote titled “Catholic judges in capital cases,” she talks about the proper response for a Catholic judge to take with respect to abortion and the death penalty. In the Supreme Court though, Catholicism, Protestantism, Islam, or whatever faith the jurist professes is, or should be, irrelevant. Ms. Barrett’s Catholic position has no bearing on the law. A recent article in Patheos says “These views are so contrary to our system of democracy and justice that, in our view, they clearly disqualify her for the federal bench.” Her consideration has caused considerable controversy, largely because of her views that judges’ personal beliefs should be put ahead of the law and the Constitution. The controversy over Barrett brings to mind the issues around Kim Davis, the Kentucky county court clerk who defied federal law and a court order to refuse to issue marriage licenses to gay couples. Ms. Davis also held her personal religious beliefs above the law, and was rightfully jailed, briefly, for her act of defiance. Most legal scholars agree however, that Ms. Davis’ duties as clerk involved issuing marriage licenses to all who apply. While Ms. Davis had a right to her opinion, the fact was, her opinion was in conflict with her duties as court clerk. Rather than refusing to carry out her duties, a more proper response would have been for her to resign. In the issue of Ms. Barrett, the similarity is evident. 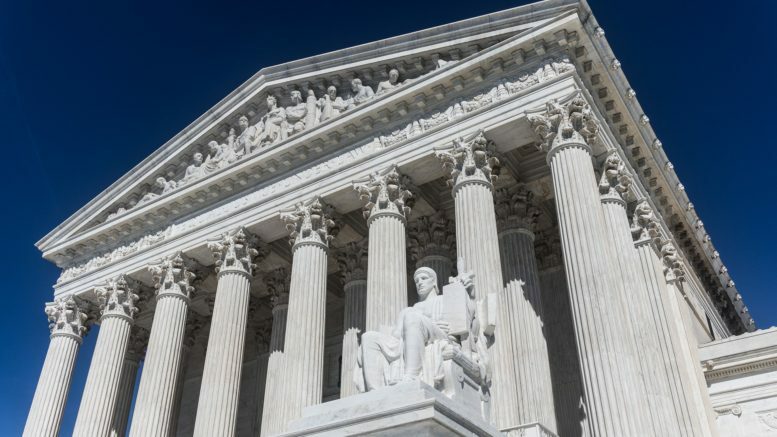 It is clear that she would not be able to resolve her religious beliefs with the Constitution of the United States which she, as Supreme Court Justice, would have to uphold, and she should withdraw herself from consideration immediately.